Take a front seat to the excitement of film and TV and go beyond with the high-tech attractions at Universal Studios where families ride the movies together and live the action. Upon arrival at Orlando International Airport you will be met by your driver for private transfer service to your hotel. After breakfast, your driver will take you to Universal Studios. Your driver will collect you after the day’s activities. Go behind the scenes, beyond the screen, and jump right into the action of your favorite movies at Universal Studios®, the world's premier movie and TV based theme park. Unforgettable thrills and magical experiences await at The Wizarding World of Harry Potter™ - Diagon Alley™, at Universal Orlando® Resort. Dine at the Leaky Cauldron™, shop at Weasleys’ Wizard Wheezes, and get ready for an adventure on the multi-dimensional thrill ride, Harry Potter and the Escape from Gringotts™. 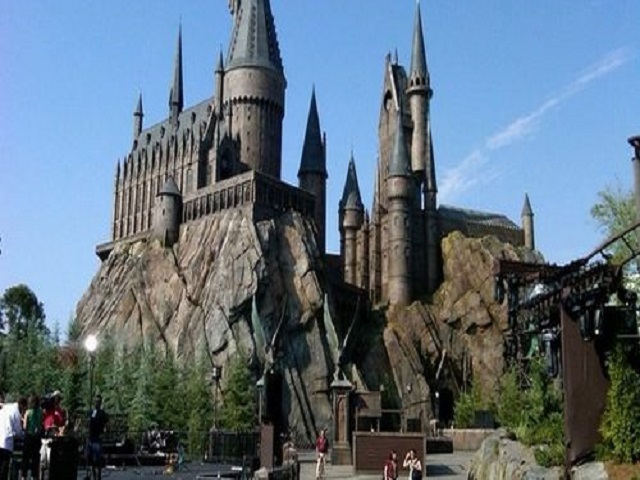 Plus, travel to The Wizarding World of Harry Potter™ - Hogsmeade™ on the Hogwarts™ Express*. At this real, working film and TV production facility you’ll find an amazing array of rides, shows, movie sets and attractions that put you right in the picture. You can battle alongside Optimus Prime and Bumblebee in TRANSFORMERS: The Ride – 3D, visit Springfield to experience the Simpson Ride™ and join Gru and his Minions on an adventure in Despicable Me Minion Mayhem. You’ll enjoy themed dining and shopping, a variety of exciting special events throughout the year, and you might even catch a real film crew at work on the backlot. From entertaining shows that take you behind the scenes of the movie-making process to state-of-the-art rides that make you part of the action, nobody brings the magic of the movies… television… and music to life like Universal Studios. After breakfast, your driver will take you to Islands of Adventure. Your driver will collect you after the day’s activities. Around every bend is another epic adventure. Around every corner awaits another once-in-a-lifetime thrill. Take an unforgettable journey through the uniquely themed islands of Universal’s Islands of Adventure®, where the world's most cutting edge rides, shows and interactive attractions bring your favorite stories, myths, cartoons, comic book heroes and children's tales to life. After breakfast, your driver will take you to Wet n’ Wild. Your driver will collect you after the day’s activities. Wet ‘n Wild® gives you more rides and more multi-person slides than any other Orlando waterpark. 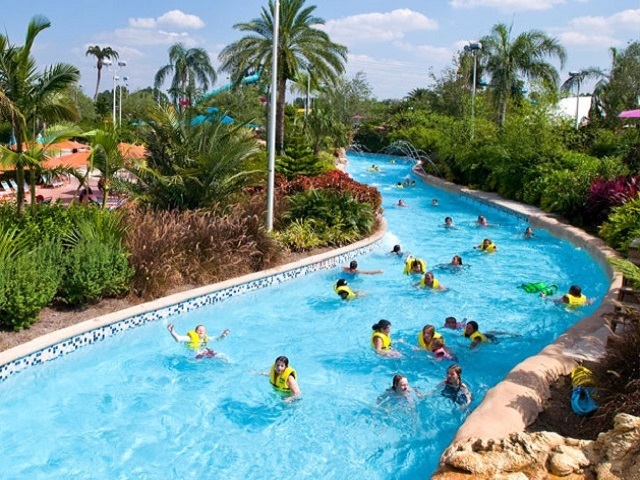 The waterpark is overflowing with incredible thrill rides, group rides where everyone can get drenched together, family rides where you can share in the fun, and so much more. On the new Aqua Drag Racer™, guests can slide through four lanes of high-speed, head-to-head competition on the tallest and fastest ride of its kind in Florida. Blastaway Beach™ is the largest family water play area in Florida, with over 15,000 square feet, 15 slides and 160 soakers. Spend the day at your leisure or head out in private transfer service to the Florida Mall or Premium outlets for some shopping. Your driver will collect you after the day’s activities. After breakfast, your driver will take you to SeaWorld. Your driver will collect you after the day’s activities. SeaWorld's Orlando Florida theme park offers roller coasters, rides, shows, tours, attractions & family-friendly activities for thrill seekers and animal lovers. Experience some of the most amazing Orlando attractions at SeaWorld®. Looking for thrills? Ride our flying roller coaster Manta® or take on our blazing fast floorless coaster Kraken! Enjoy memorable live shows and unique attractions such as our newest addition Antarctica: Empire of the Penguin. Most importantly, SeaWorld is all about animals: From Shamu® to beluga whales, polar bears to bottlenose dolphins and rays to sea turtles, marine life abounds! After check-out you will be transferred to Orlando International Airport for departure.